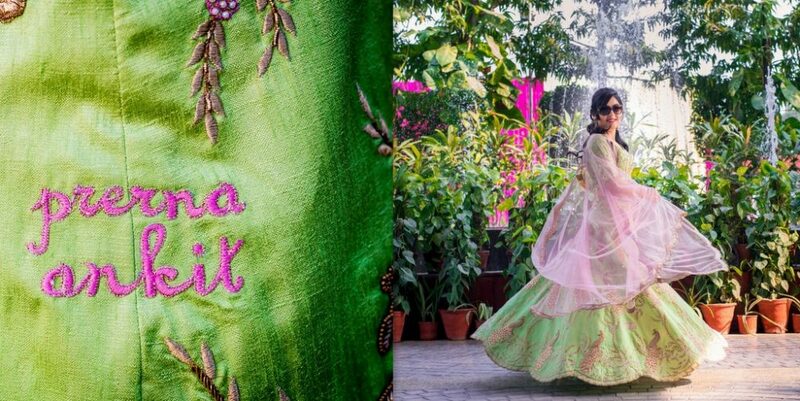 The first thing that every bride thinks when the wedding date is fixed in the bridal lehenga or the bridal dress! 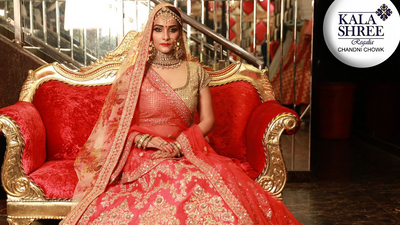 Finding the perfect bridal wear is not only exciting but can get crazy too. 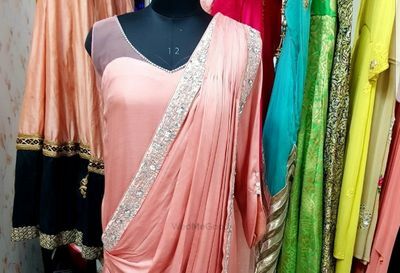 Right from deciding your bridal lehenga to your bridesmaid’s dresses to what other wedding sarees are going to be like can literally be mind boggling! 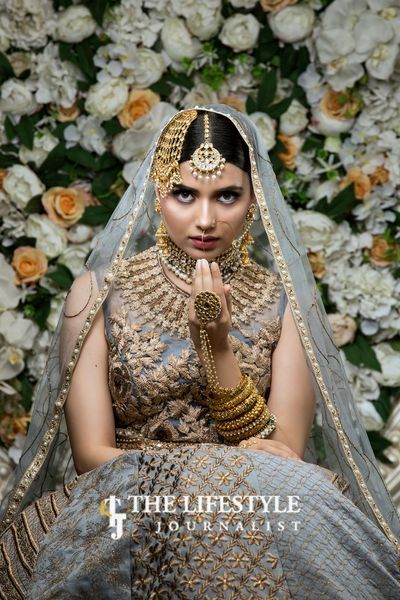 WedMeGood has the most amazing Pandora’s box to bridal wear! 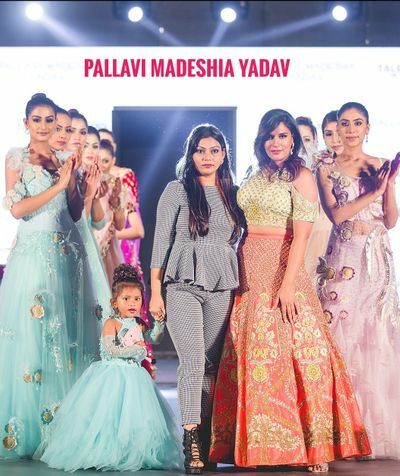 You can browse all your wedding outfits, latest lehenga looks, wedding gowns, best designer styles, celebrity styles right from home. 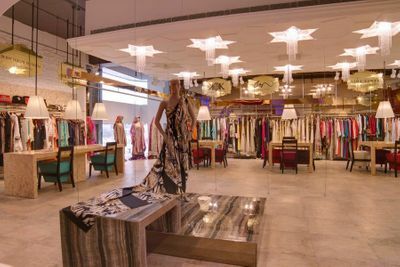 Not only that, you can pick and shortlist your outfits or vendors by simply filtering by budget, outfit type or even store type. 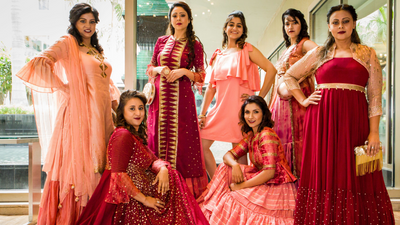 Right from the top end bridal wear designers in the country to the smallest bridal lehenga boutiques, it’s all right there for you. 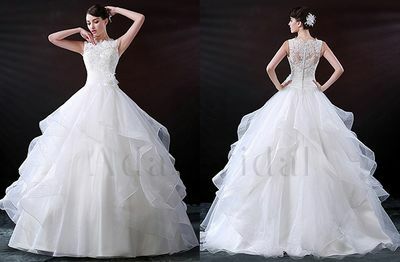 The wedding dress is of utmost importance in a wedding, however big or small – so you have to simply get the best! 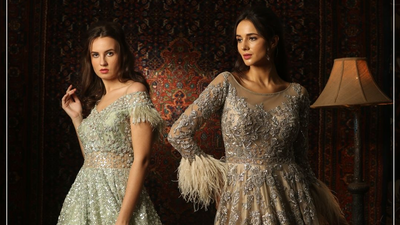 Brides! 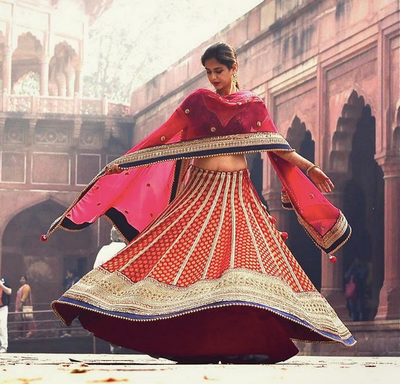 You know the importance of your bridal lehenga and how much it means to you, right. 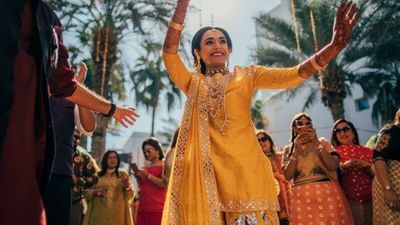 Whether you are looking for an off-shoulder lehenga or lehenga sari with embellished beards, WMG Blog has tons of options and ideas for your dream-wedding outfit. 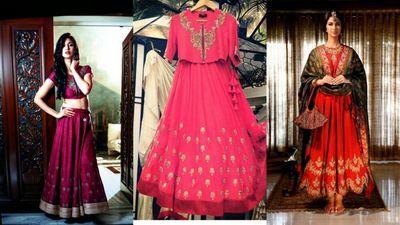 From dazzling tassels to trending ruffle dupatta and gorgeous red lehenga to lavender outfit, we have 1000s of bridal lehenga shops and stores that are listed on our platform. 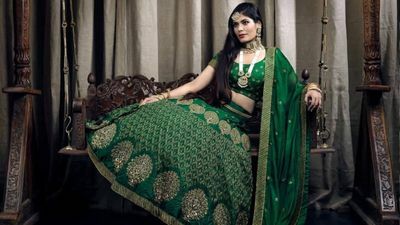 Whether you want to know the best bridal labels or need a budget friendly designer lehenga for your sangeet and wedding, WedMeGood is India’s leading wedding planning app and website that will help you to find top rated bridal lehengas or indo western gowns for your mehendi, engagement, wedding and reception party. 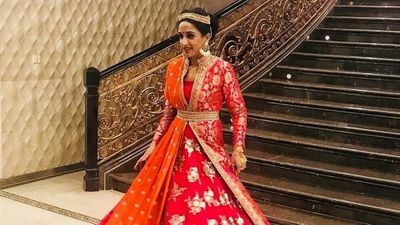 What are the Bridal Wear Tips when buying your wedding outfits? 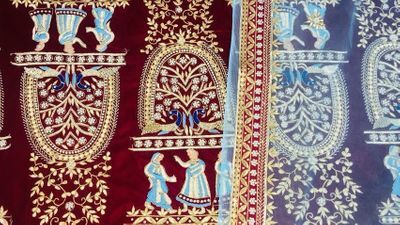 Fabric: Check the fabric and texture by touching the cloth and ensuring that it will not irritate you on the day of your wedding. 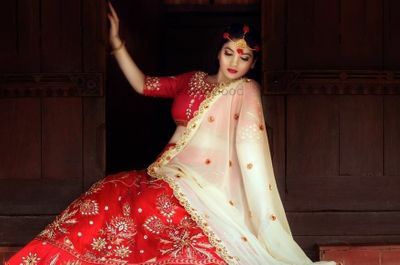 Fitting: Wedding lehenga is all about the fitting. 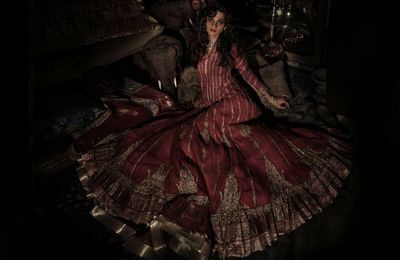 As when you shortlist your wedding outfit ensure to try them and see if it fits you perfectly or not. 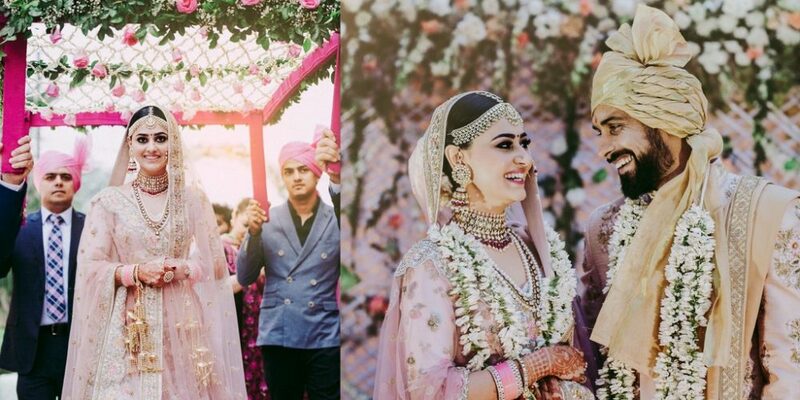 In, case if you find the outfit loose or tight then, alter it as soon as possible so that at the day of your wedding it fits you well. Length: You might not realize it but yes! 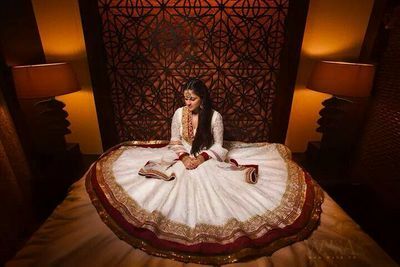 Length of your lehenga or gown does matter as a long piece of cloth can irritate and make you feel uncomfortable on your wedding day. 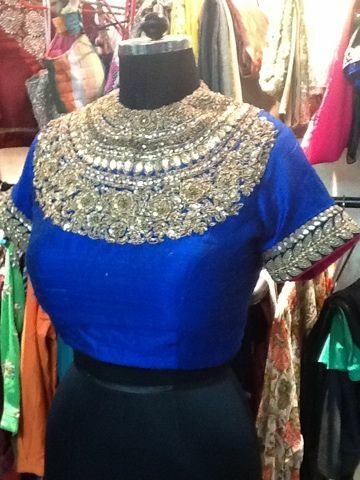 Check the blouse fitting: Too tight fitting blouse can just ruin your outfit and event too. 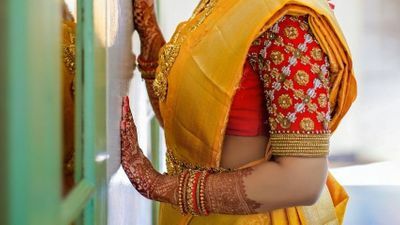 As you need to wear your wedding lehenga the whole night, ensure your blouse fitting is not too tight and is comfortable to wear on your most special day of your life. 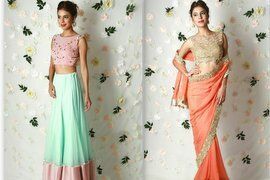 Color: Lehenga is all about different pastel and bold colors. 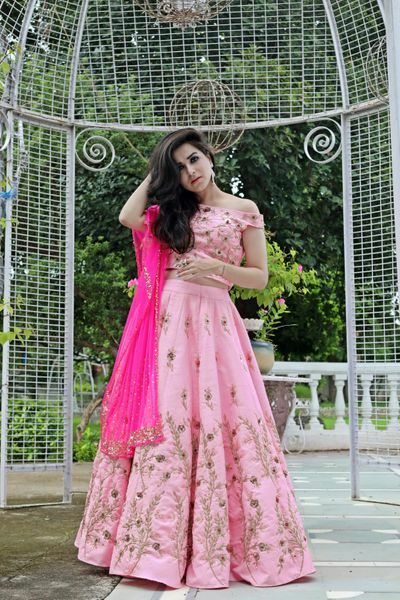 Whether you are looking for a light pastel lehenga for mehendi or maroon lehenga for your wedding do ensure to try all colors, which will help you to find the perfect lehenga for your marriage. 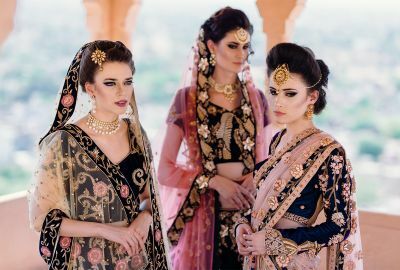 Designs and patterns: Be it lotus motif patterns or an ombre effect lehengas, Indian wedding outfits and lehengas has a plethora of designs and patterns that will make your mind boggling. PS. 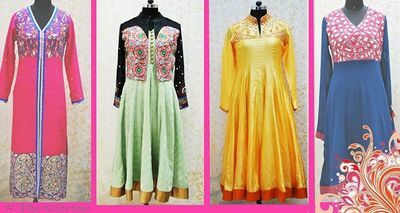 Do try to wear as many outfits you can that will give you a better understanding which outfit looks best on you. Overall appeal: And, lastly, it all depends on that look. Look yourself and see how the overall look is coming out to be. 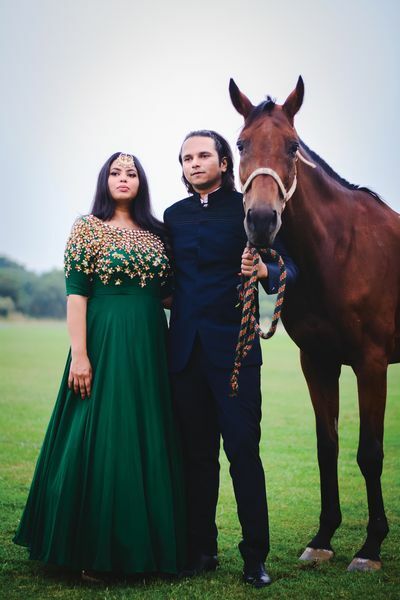 Is your personality displaying there and enhancing your beauty even more.